Guests were treated to cutting edge beauty treatments favoured by the rich and famous when a new spa celebrated its opening with a special launch party this week. EF MEDISPA, on Whiteladies Road, has received high interest since announcing it was launching its first clinic outside of London in May, bringing innovative aesthetic and wellness treatments to Bristol. Over 100 guests attended the official launch party and trialled some of the treatments on offer including the Drip & Chill vitamin infusion, LED facial and mineral makeover. Counting celebrities including Tamara Ecclestone as regular clients, the clinic is offering treatments not seen before in the city. 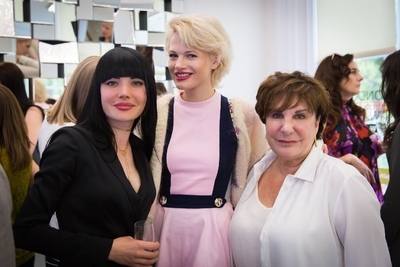 EF MEDISPA, Bristol owner, Elena Hunt, said: “It was great to celebrate our official opening with a launch party for friends, family, other local businesses and happy customers we have met since opening our doors. “The reaction we have had in Bristol has been phenomenal. Our Drip & Chill treatment hit the headlines straight away and we’ve had an amazing number of enquiries and bookings already. “It seems that people in Bristol are excited to try something new when it comes to intelligent skincare and aesthetic treatments and we are pleased to be offering the same packages as we do with our celebrity clients in London. EF MEDISPA specialises in complementary, aesthetic and surgical treatments alongside wellness services, fitness classes and a juice bar. With established clinics in Kensington, St John’s Wood, Canary Wharf and Chelsea, EF MEDISPA was Britain’s first truly comprehensive medical spa and was launched almost a decade ago by founder and industry expert Esther Fieldgrass. The treatment menu includes bespoke peels and facials, anti-wrinkle injectables, advanced anti-ageing laser treatments as well as lifting, tightening and weight loss body treatments. For more information find EF MEDISPA Bristol on Facebook (EF MEDISPA Bristol), Twitter (@EFMEDISPABris) or visit the website at efmedispa.com.